Just a quick note to let you know what we’re up to at Smiling Bag right now. As some of you may have read on my Smiling Blog, I had a difficult end to 2014. Sadly, as the main contributor at Smiling Bag, if my own life hits issues, then the work stops. So I’ve decided to try and concentrate on smaller projects until everything gets back to some kind of homeostasis, because the large ones keep getting interrupted by things! Anyway… S.I.D the Snake is the third and final part of Smiling Bag’s ‘One Touch’ trilogy (The first being I am Level, and the second being Ducky Fuzz). They’re games that can be played with a single button / touch, which makes them much more accessible. 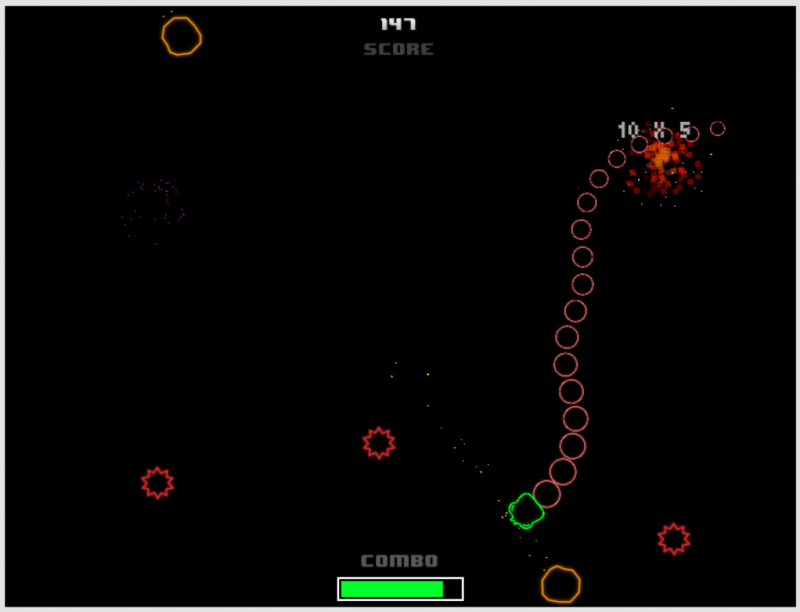 It’s sort of like an analogue version of Snake crossed with Asteroids. 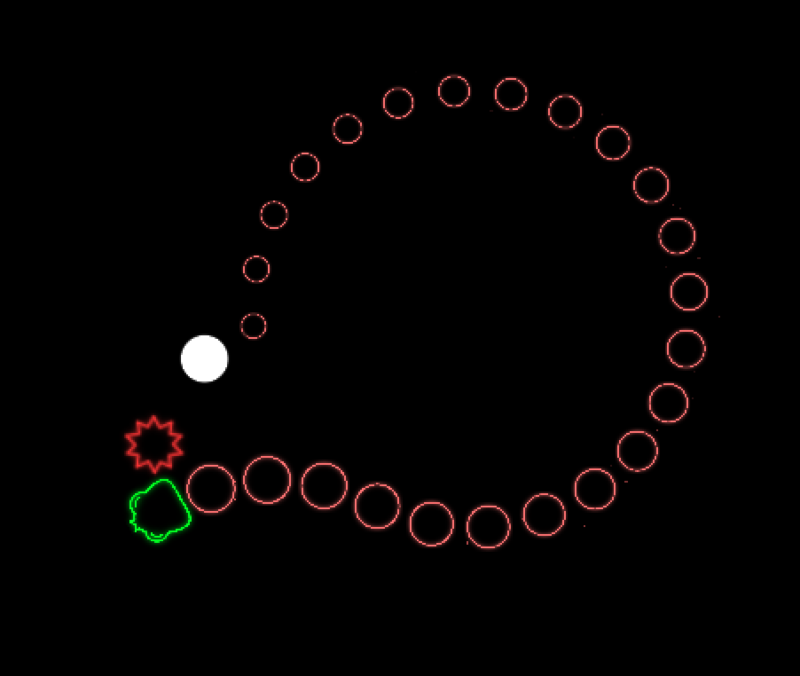 the snake goes round in a circle, and you tap / hold a button to change the direction of the circle. Collect good stuff, avoid bad stuff. Easy! I’m managing to get quite a bit done on this at the moment, so the hope is to get it finished by the end of February, and released some time in March on iOS, Android and Web. Fingers crossed. Until then, look after yourselves.